I’ve been waiting for someone to start this..... why must I be the one to step up? It ain’t working. Go back to Minot. I agree. Too many weapons for the lackluster offensive performance. Anyone who started Heidelbaugh over Zimmerman should be gone. i would have pulled Keaton long before he went out. Keaton looked like he was not in any position to lead the the offense. Did UND steel him from Minot St.? With everything that could go right or wrong in all phases of the game, Rudolph cost us the win today. There are ways to execute Bubba's philosophy that include passing plays before you are 17 pts down. The offense is trying to control the clock and I get that, but i am not sure Rudy and Bubba realize the clock does not stop when you complete a pass. You will never see the full potential of this team with this playcalling. Bubba talks about recruiting tall, athletic basketball players for wide receivers because they’re good with body position/control, can jump, and are multi-sport athletes. But god forbid they throw a fade route on first down at the Sac State 19 when our 6’4” WR is in man coverage against a 5’10” corner. We don’t have to wait until we’re down by 17 to see Wanzek make catch after catch over the heads of the defense. It makes zero sense. The blocked FG and long TD passes also contributed to our demise today. As did the fumble for a td. They had a 5'4" 140 RB running up the gut against us. He should be in concussion protocol after one carry. I would put this one on the defense. We had a blocked FG against Stony Brook, Richmond and again today. You get a kick blocked, more often than not, you will lose the game. The offense started on Sac State's 19 yard line for that drive ... there shouldn't have been a field goal attempt. UND should've put that in the endzone for six. That blocked field goal was a consequence of poor offense. The defense gave up huge plays through the air. The pass defense was more of a concern in terms of the overall defensive issues. Disagree. It wasn’t good but they ran at will against us. Our dline (except for Tank) got pushed around and we missed a ton of tackles. Sacramento State averaged 3.3 yards per carry on the ground; they averaged 20 yards per catch!! The UND defense gave up big pass plays that were deflating and eliminated their chance to win, especially when you have a handicapped offense. The big pass plays allowed by the defense killed UND today. All those numbers aside, the most important stat tells the story: UND was -3 in turnovers. We got gashed on the ground today. They were consistently in 2nd and 5 or 4. No one on the d line played really good today. I thought Tank made a couple big plays but he also missed on a couple. Also the ILB continue to just not be able to handle making the plays near the line of scrimmage. The defense is just nowhere near where they need to be and where they were last year. 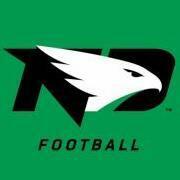 UND defense gave up touchdown passes of 69 and 56 yards! Those big plays are killers. It was ugly to watch. Take away those two dagger plays and eliminate the 3 turnovers and UND wins. Big plays and turnovers are determinants of winners and losers. UND played like a backpedaling, youthful team today with those mistakes, and, as such, they lost. IF you are in favor of firing Rudy, then you MUST question Bubba about play calling. Why wasn't there a TO before the 4th down play? We all saw Nick Saban shitcan Lane Kiffin after the reg season just before the playoffs last year because he wasn't doing what Saban wanted. IF Rudy wasn't doing what Bubba wanted then he'd be gone. But...in the 4th we had a two play drive. Santiago long run followed by the Moose taking it home. Sometimes that stuff works so they think it always works. I guess. Love Zimmerman. He can lend a lot to the running game just because he can make the big pass play that should open up the D for running game. Right now the OLine is still a work in progress but when they gave Z time he was on! At the corners especially, they ARE a backpeddling youthful team. Imagine Harris back next year and hopefully Holm. Thought Canady continued to improve. Flowers tackles way too high but gets his head in the play. I watched Tank today and he lived and died by back dooring his blocks. It was hard stretch plays and he did not maintain his gaps. The plays he made were great but when he didn’t make them his gap was uncovered. I love the way he plays. At times today he was the only one on our defense playing with intensity. I think who ever told him to lose weight this year was crazy. Not nearly as effective as last year at taking on blocks. Needs to put the weight back on this year. That goes back to S&C. He needs to add 20lbs. All DEs should be around 270. NT should be over 300.